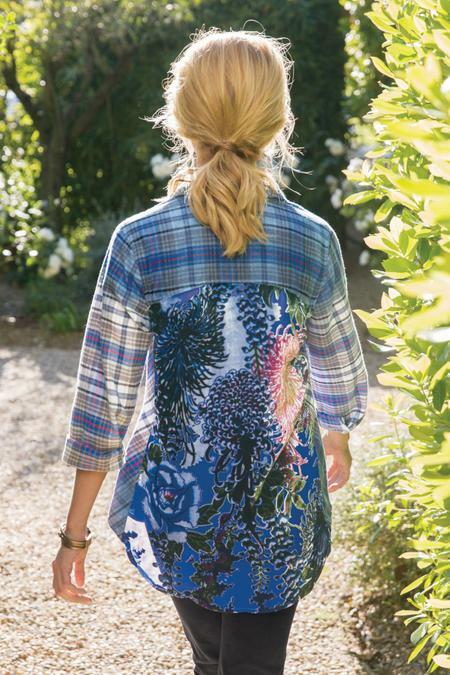 Ombré gives a blue plaid flannel shirt extra zing - but it's the extraordinary, oversized Asian chrysanthemum silk velvet burnout in back that makes this top truly exceptional. Button closure, long button-cuff sleeves, patch pocket and longer back shirttail hem add to the fabulousness. Cotton; viscose/silk. Misses 28-1/2"/30" long.